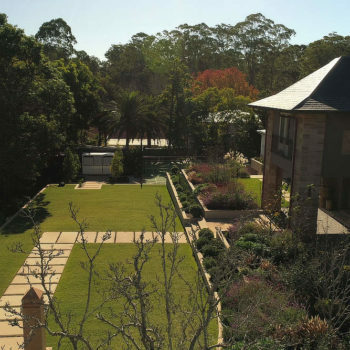 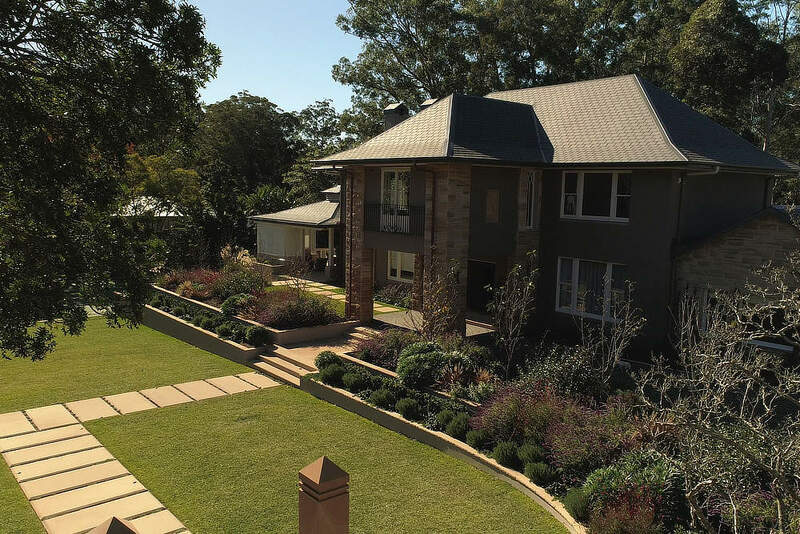 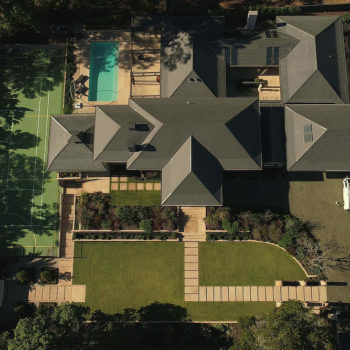 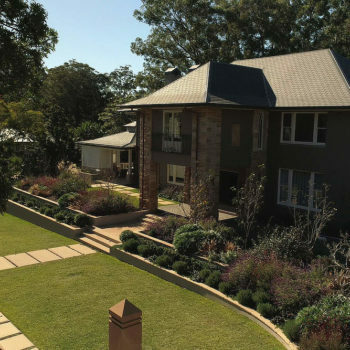 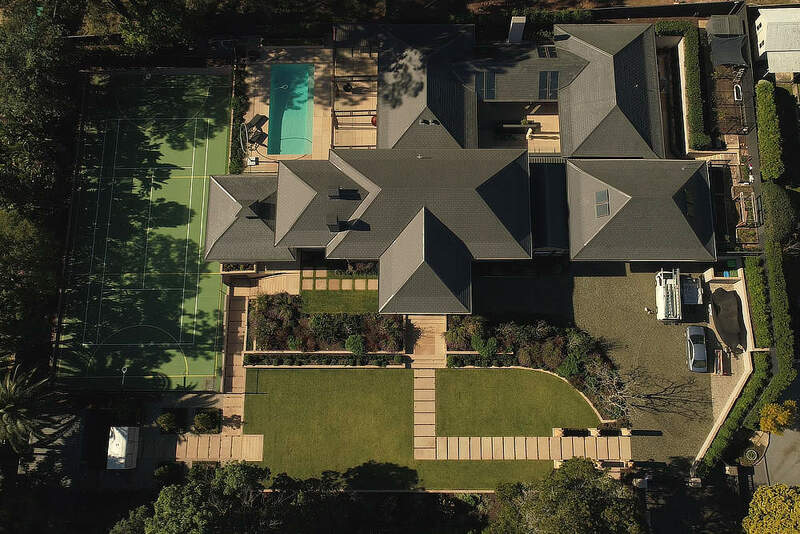 The design brief for this large 1920 home was to create a grand entertainers garden which reflected the proposed architectural and interior renovations of the existing residence. 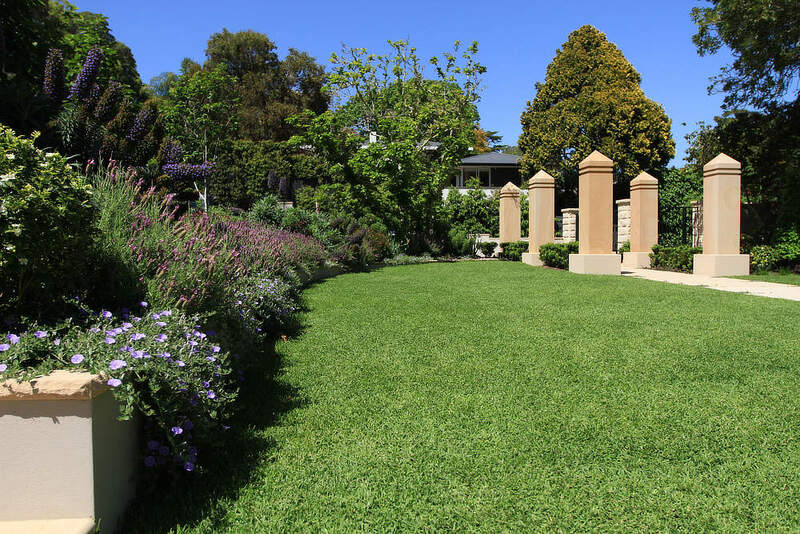 The aim was to draw visitors into a structured garden isolated from the outside world. 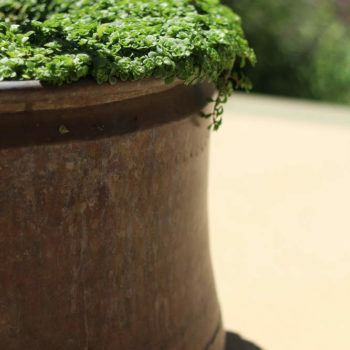 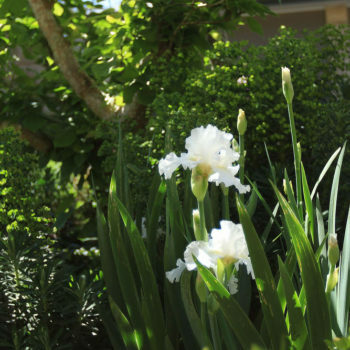 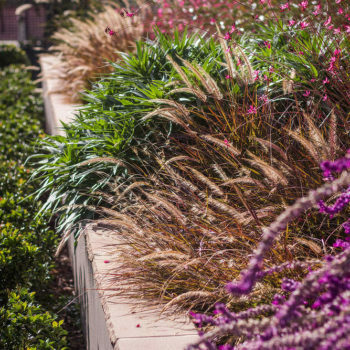 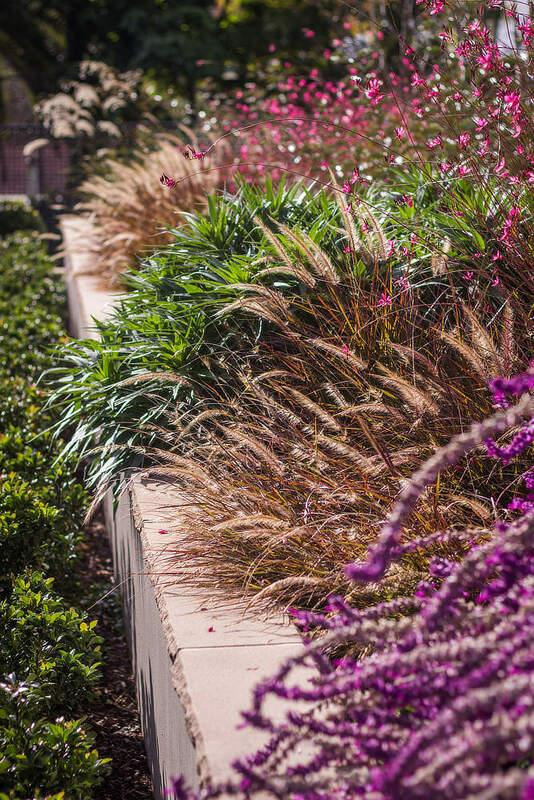 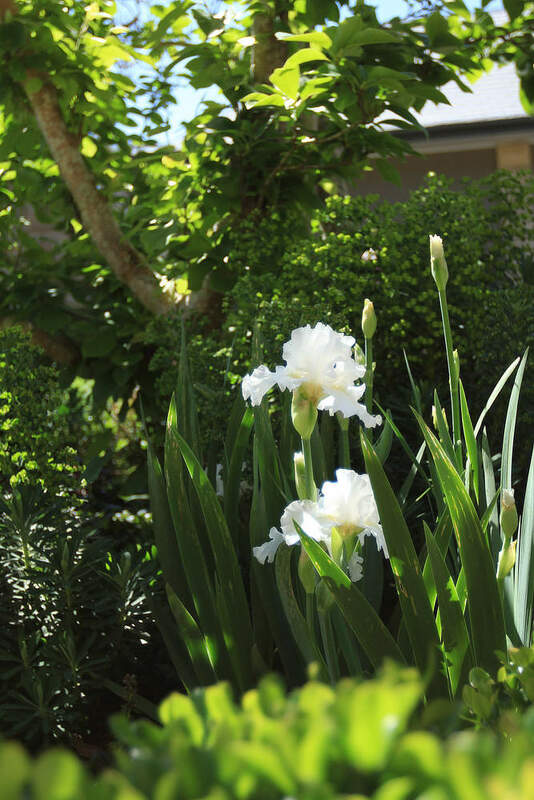 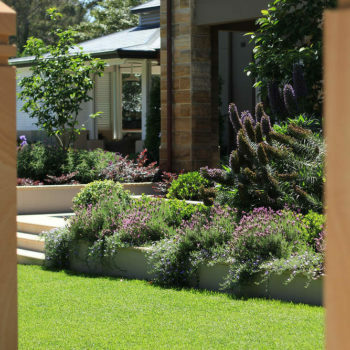 The key areas of the landscape were created with the both entertaining and relaxing in mind. 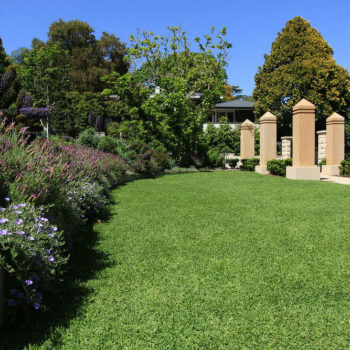 These garden spaces include a formal front lawn bordered by ornamental flowering perennial gardens, a swimming pool, entertaining pavilion, open pergola and outdoor kitchen, central courtyard with 9 meter high fireplace, Sculpture and herb garden, tennis court, whiskey lounge in a converted monorail carriage, and a productive garden with custom designed chicken coup. 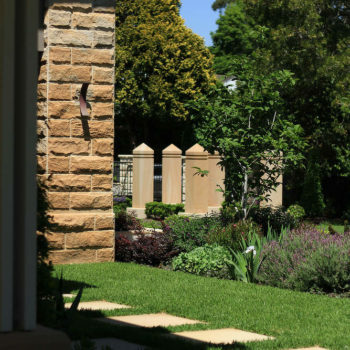 Our sophisticated and structured design which expressed strong lines and well considered balance within the landscape was key to meeting our clients brief. 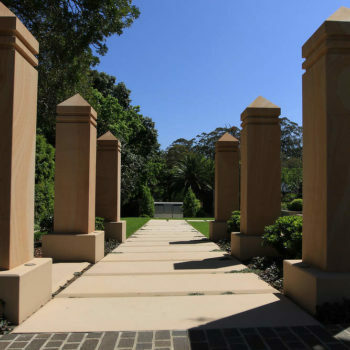 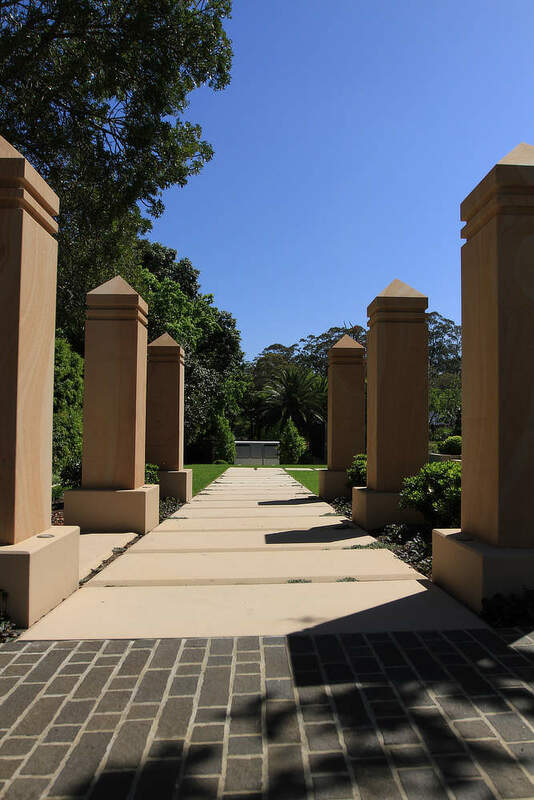 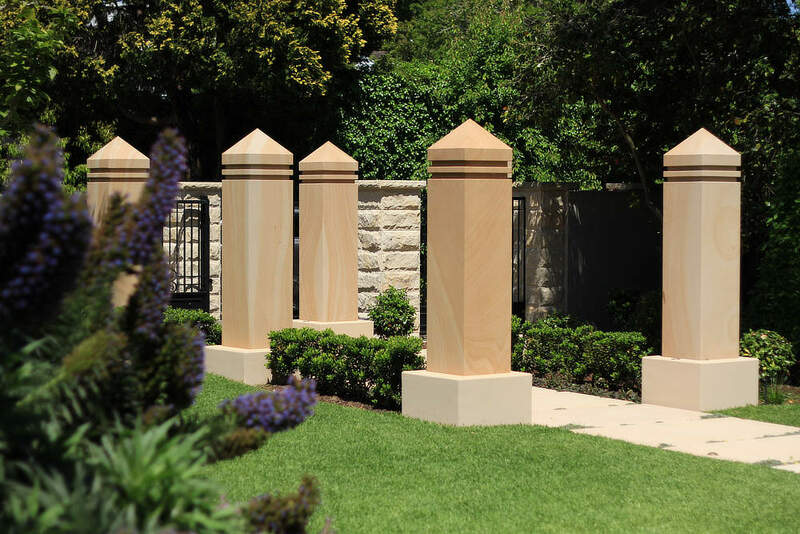 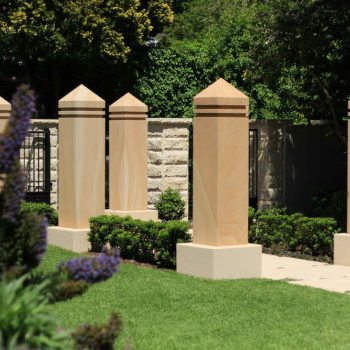 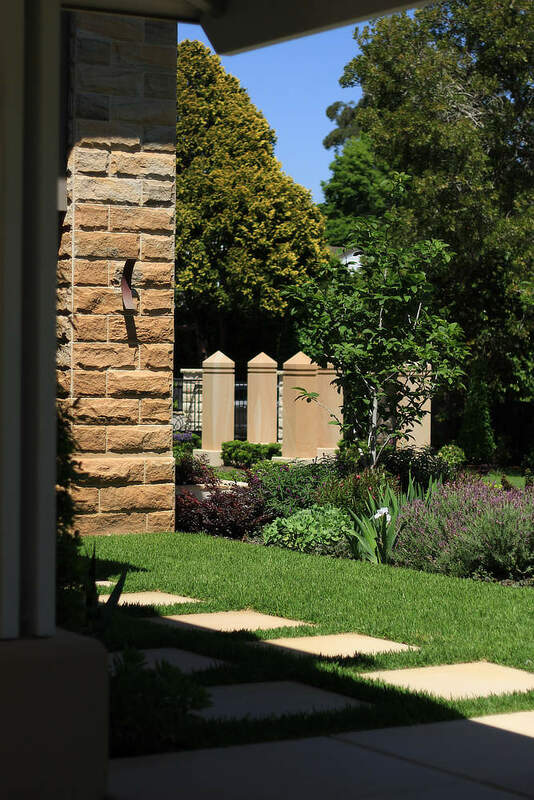 There is the highest level of detail in the hardscape elements of this project, illustrated in the luxurious cobblestone driveway, formal pillars lining an entry path, large hand chamfered 2x1m paving and steppers and custom designed open pergola. 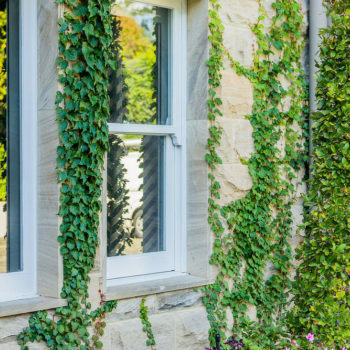 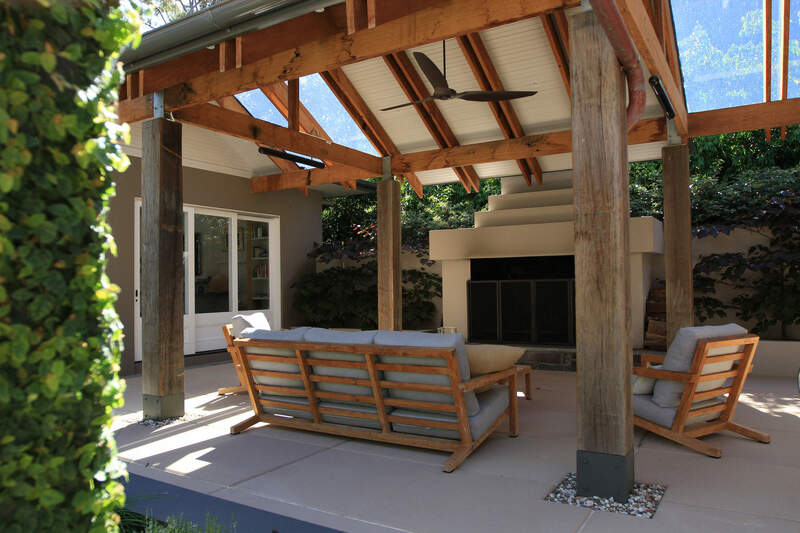 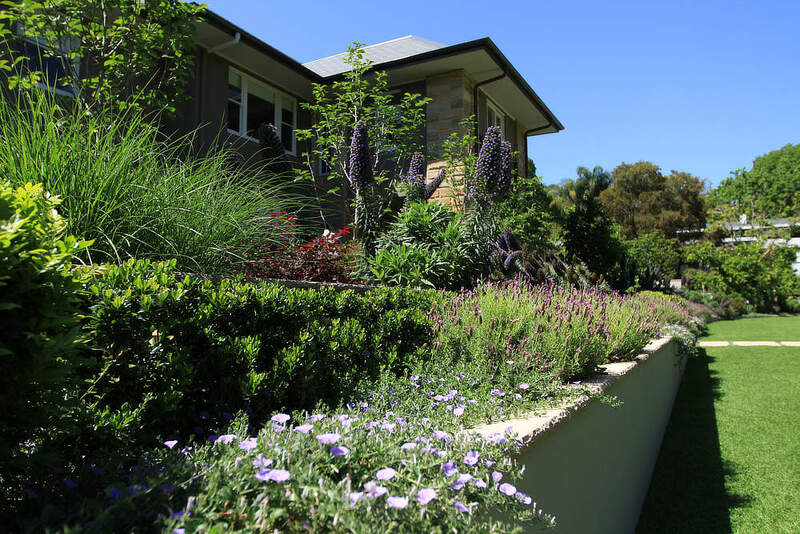 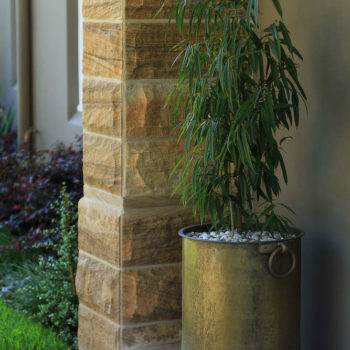 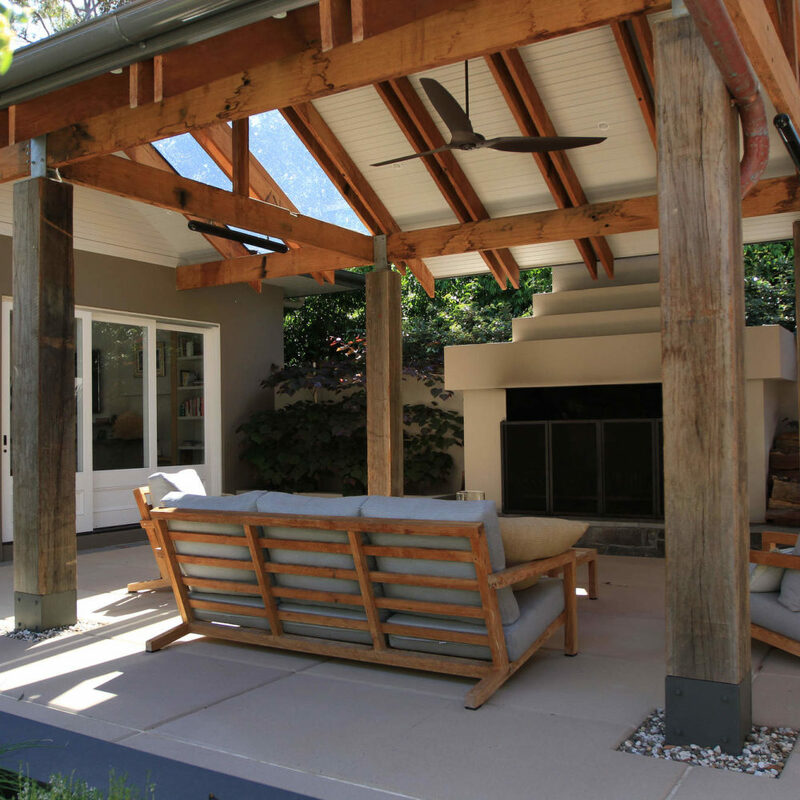 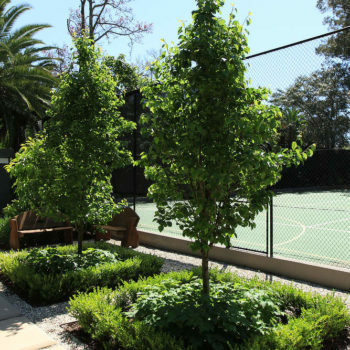 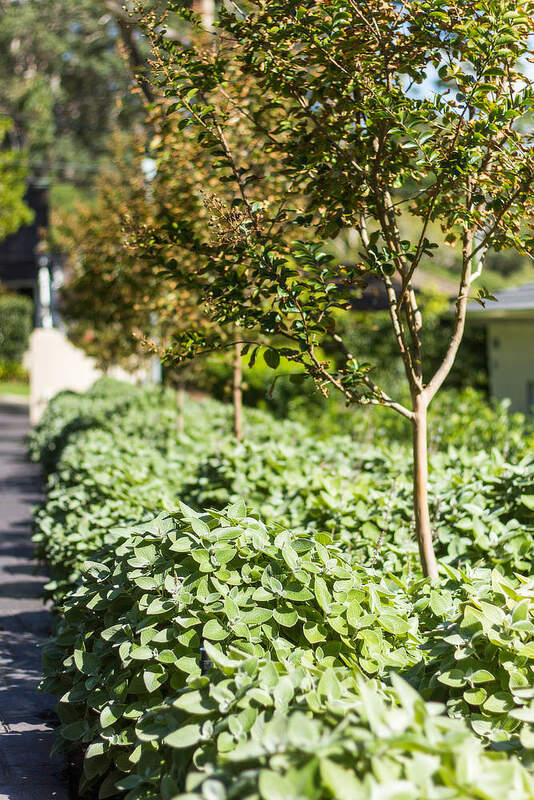 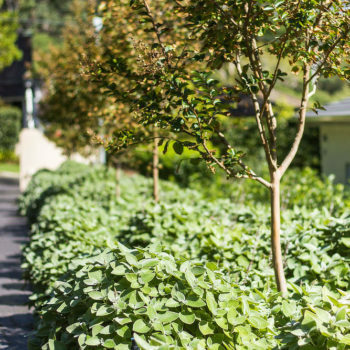 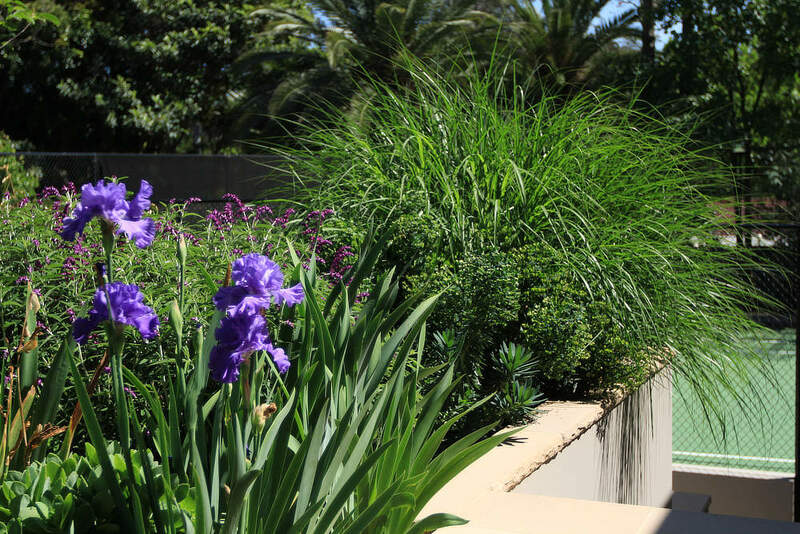 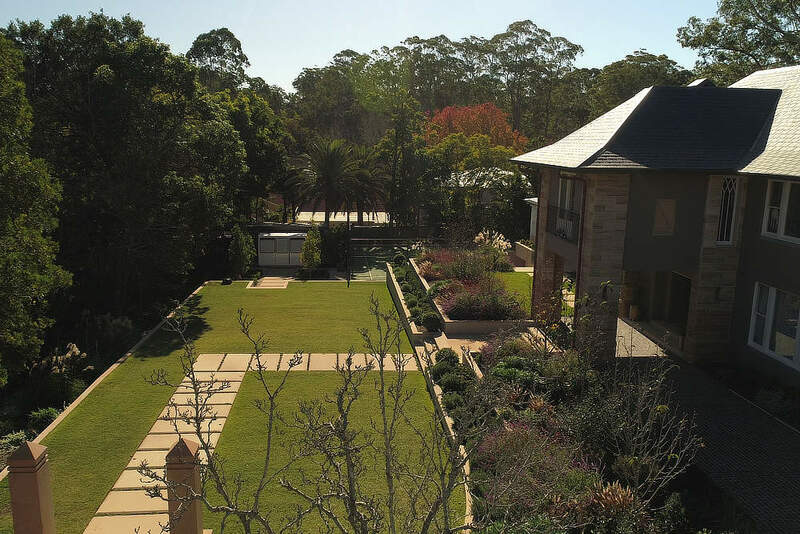 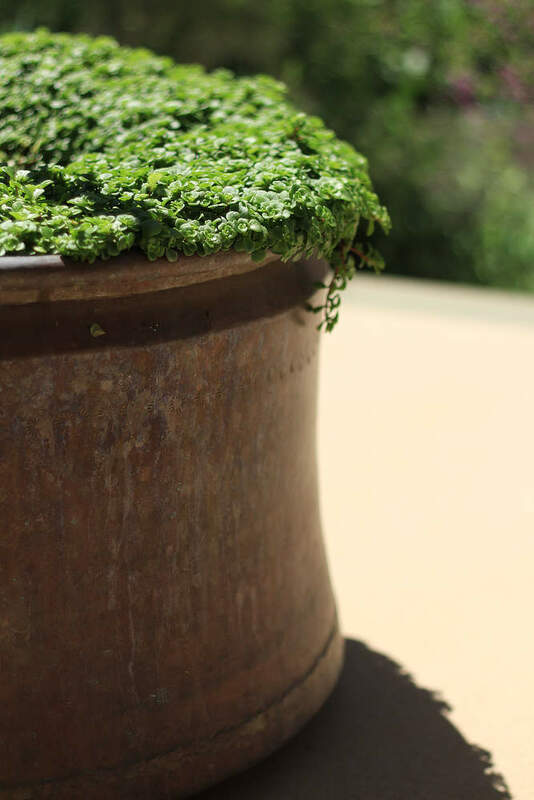 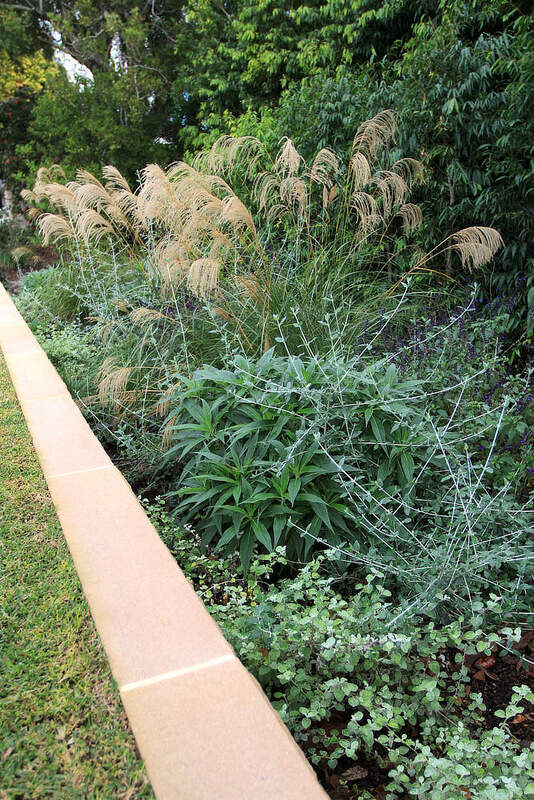 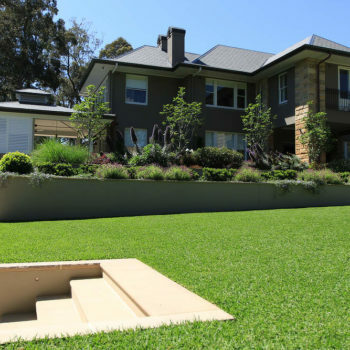 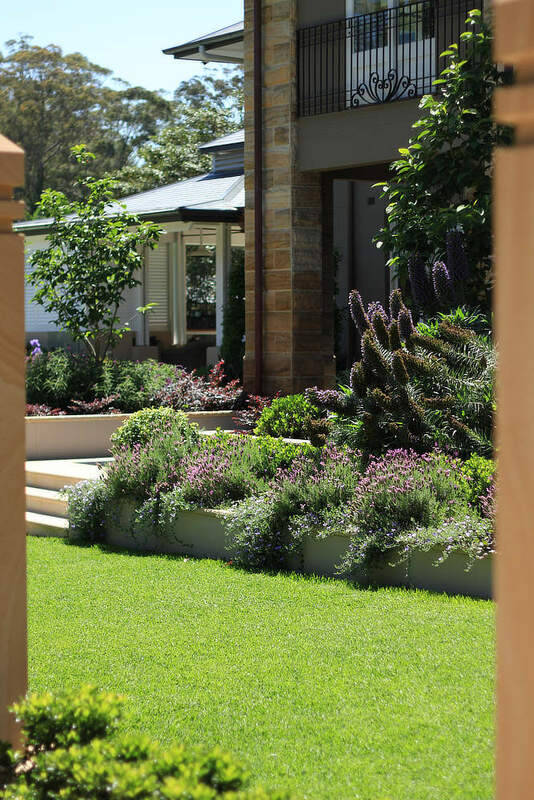 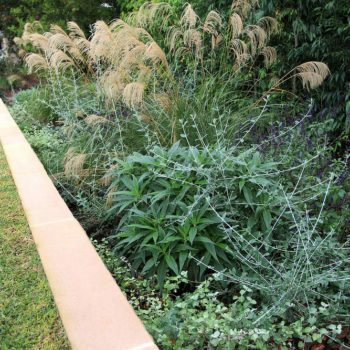 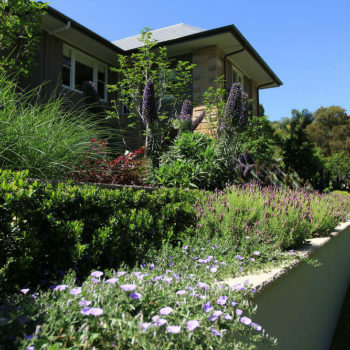 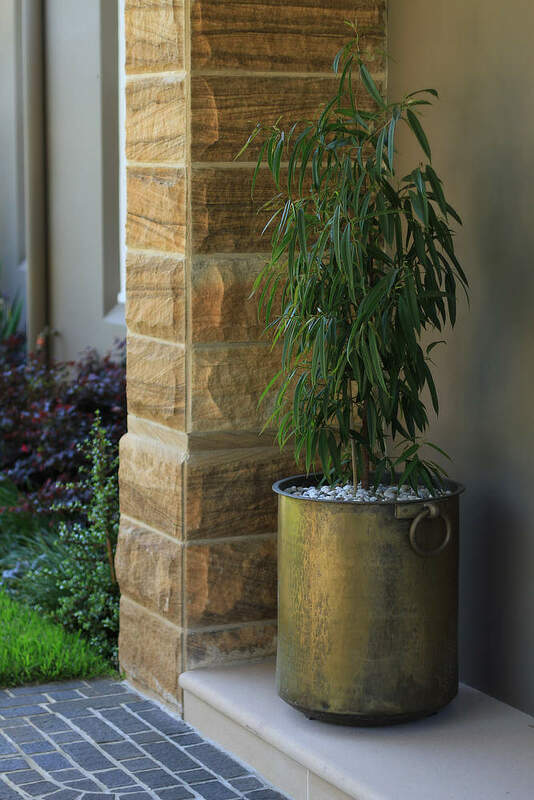 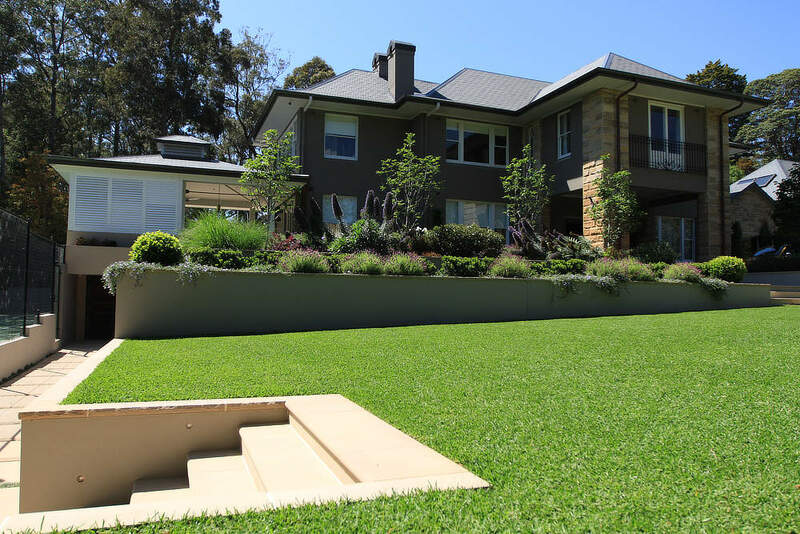 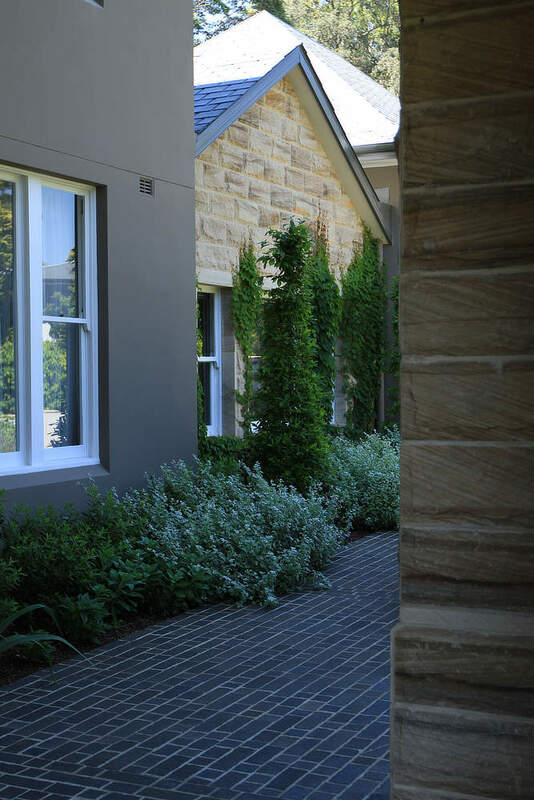 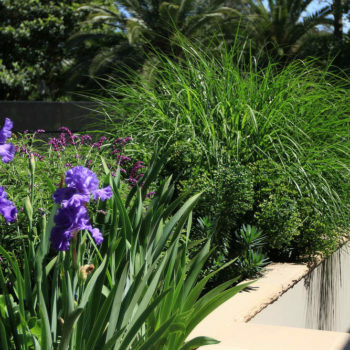 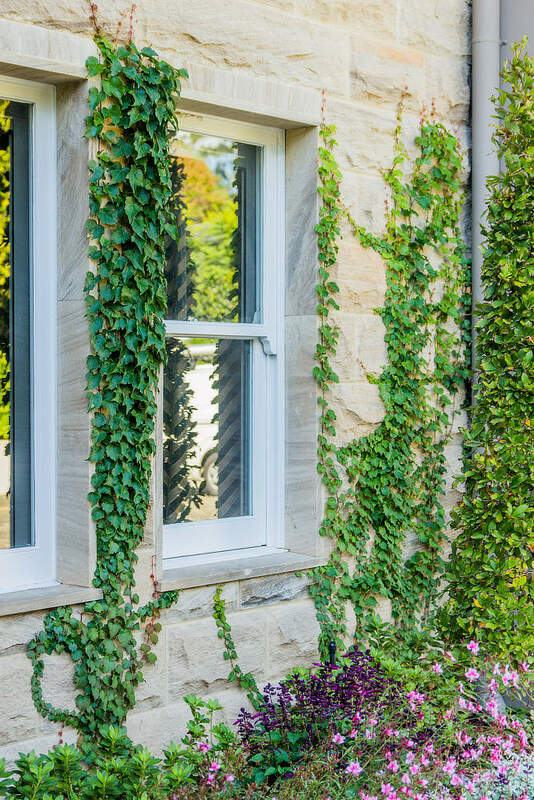 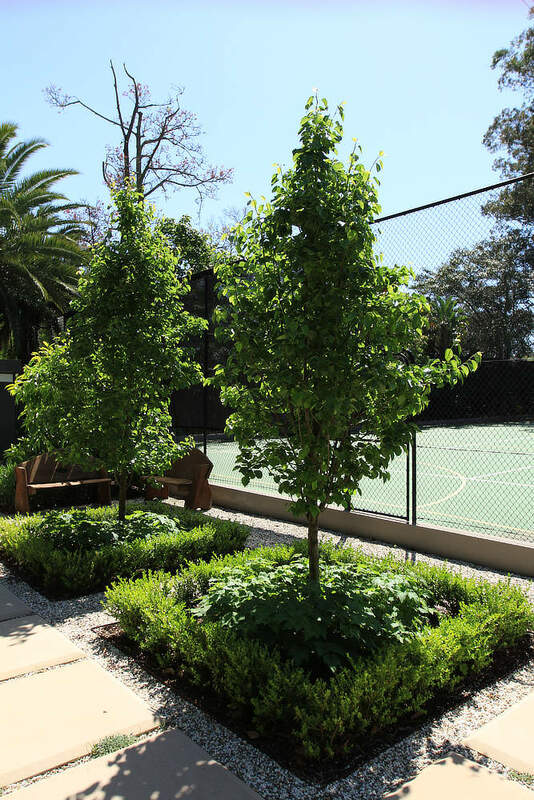 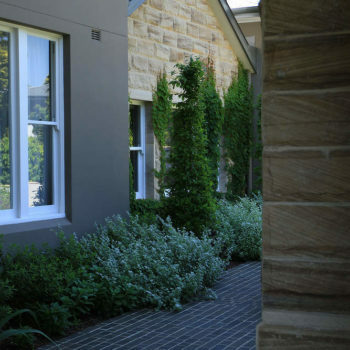 This garden was awarded a gold medal and Best in Category by the Mater Landscapers of NSW and ACT for Design and Construction over $75K in their 2018 Awards of Excellence and was also awarded the Residential Landscape Design and Construction of the Year award.